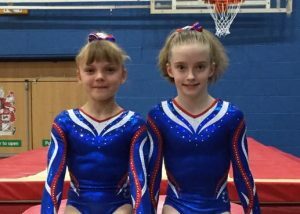 GYMNASTICS: ATHLETES from Woking Gymnastics Club competed against some of the best UK gymnasts last weekend (12-13 May) in the national compulsory finals held at Fenton Manor Sports Park in Stoke-on-Trent. The prestigious event, for gymnasts competing in disciplines across levels two, three and four, saw several girls from the Kingfield-based club impress. After finishing first and second overall in their regional qualification, Madison Childress and Farah Rothwell both represented the South-East team at the national compulsory level three finals.